Volvo Subaru Car Stereo and Bose Amp/Speaker and Stereo Repair. 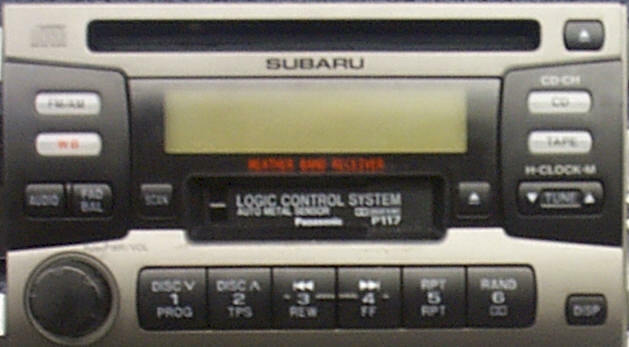 C123 / PF-2851B-A / 276-0030-00 Six CD changer, Err message in display, will not play CD's, will not eject or accept CD's. Before repair, disconnect one of the car battery terminals for several minutes. This acts as a reset and may bring the changer back to working conditions. Otherwise, repair rate $275-295. Single CD Player, clicks when attempting to eject, will not load, will not play CD, repair rate $175, on year warranty. 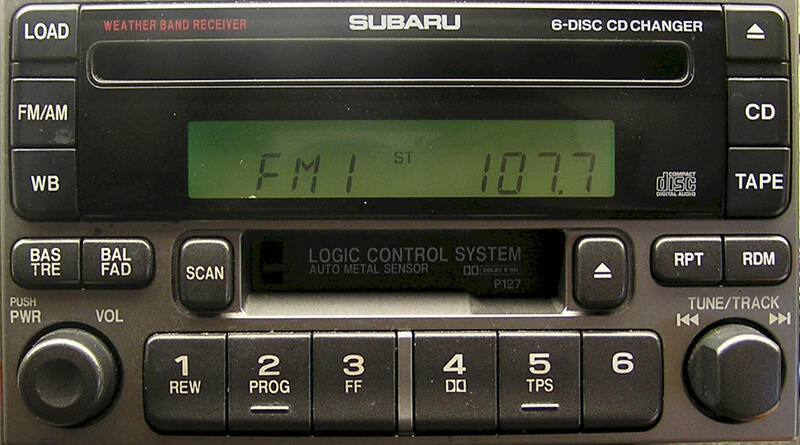 Keep your Sirius / XM subscription by repairing your original stereo. Six CD changer, Err message in display, will not play CD's, will not eject or accept CD's. Before repair, disconnect one of the car battery terminals for several minutes. This acts as a reset and may bring the changer back to working conditions. Otherwise, repair rate $275-295. 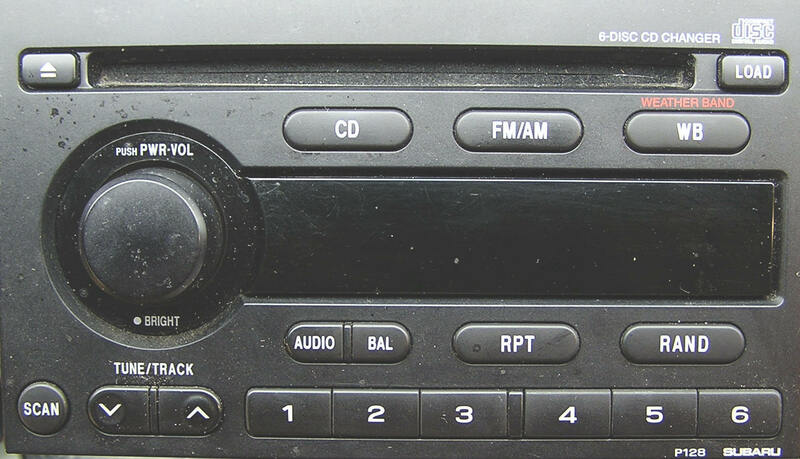 P130 / CQ-EF7360A / 86201SA110 Six CD changer, Err message in display, will not play CD's, will not eject or accept CD's. Before repair, disconnect one of the car battery terminals for several minutes. This acts as a reset and may bring the changer back to working conditions. Otherwise, repair rate $275-295. NO DISPLAY, dim, weak or intermittent, $125. 86201AG69A / CQ-JF1660X Single CD player, CD does not accept, eject or play CD. P128 / CQ-EF1260L / 86201AE36A Six CD changer, Err message in display, will not play CD's, will not eject or accept CD's? Try a reset first, disconnect the stereo or remove one of the battery terminals for 10 - 15 minutes. Reconnect, this can reset some minor alignments and glitches in communication. After reset, CD mechanism may not be recognized, show full with no CD's repair rate, $250. 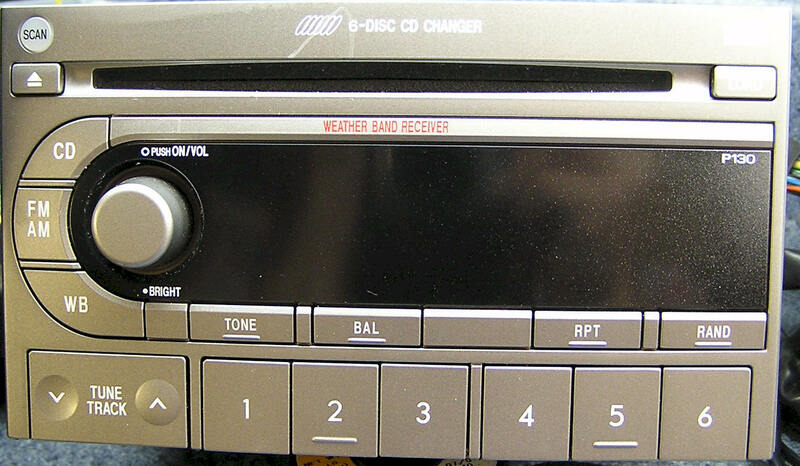 P-141 / 86201XA14C / CQ-EF8961F Six CD changer, Err message in display, will not play CD's, will not eject or accept CD's. Before repair, disconnect one of the car battery terminals for several minutes. This acts as a reset and may bring the changer back to working conditions. Otherwise, repair rate $275-295. Single CD player does not work properly, $190. 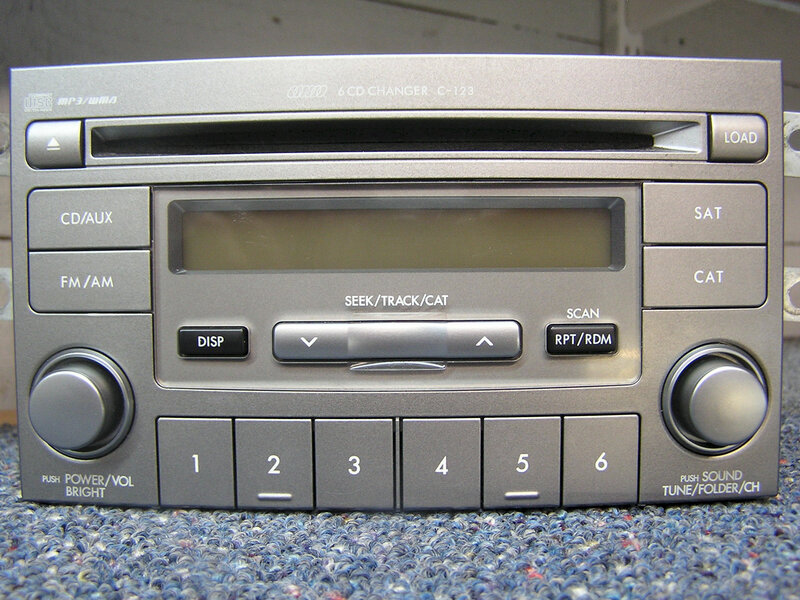 PF-2520I-A Six CD changer, Err message in display, will not play CD's, will not eject or accept CD's, $295. Radio does not tune, or display cycles hieroglyphics - up arrows, UK Pound symbol, boxes.... $185. Six CD changer, Err message in display, will not play CD's, will not eject or accept CD's? Try a reset first, disconnect the stereo or remove one of the battery terminals for 10 - 15 minutes. Reconnect, this can reset some minor alignments and glitches in communication. After reset, CD mechanism may not be recognized, show full with no CD's repair rate, $250. Dim display, unable to read display at night, $60. Tape does not work, $125. Please see Repair Rates and Car stereo removal and Installation Instructions. Intermittent or No Front Speaker Output? This could be a shorted speaker wire going into the driver's side door. Check speaker wires for short and rewire. This is not a common problem, but one worth troubleshooting before thinking of repairing a car stereo that may not have a problem.